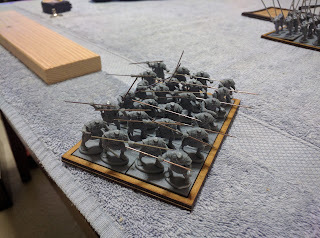 I been working on my Chariots and will do batch jobs of painting one unit at a time. I figure then I can play and paint as I go. 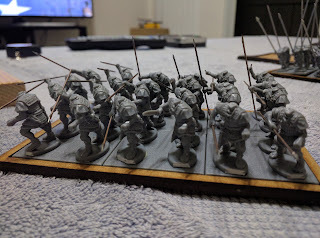 I still need to assemble my leaders onto bases. 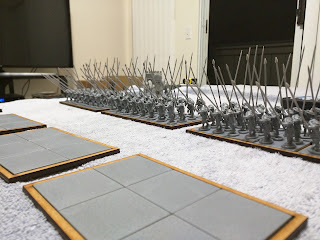 lining up what I currently have assembled facing off my friends romans. Another angle of this unit. Movement trays from Warbases. They seem to do the job, there is a lot of play in the movement trays but it is acceptable for the price. I did do a new order for more trays but have yet to receive them. 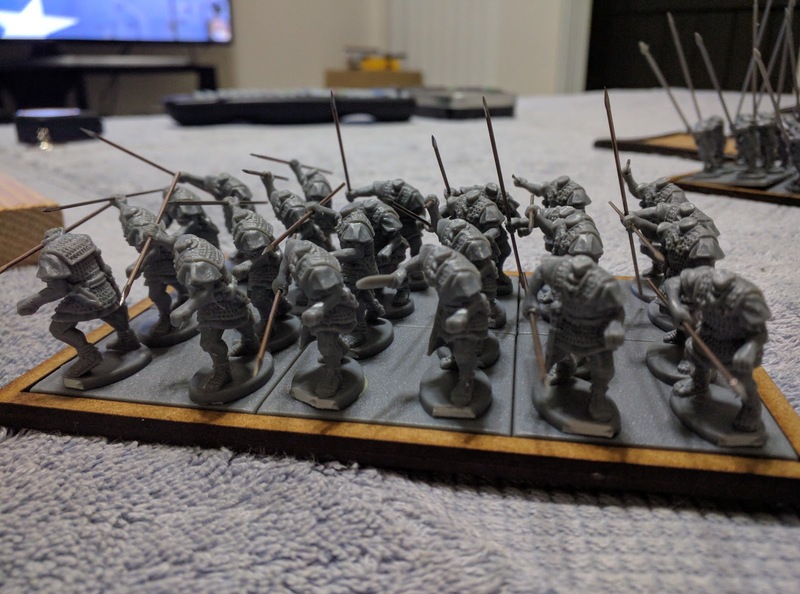 This is the start of my army for Swordpoint.